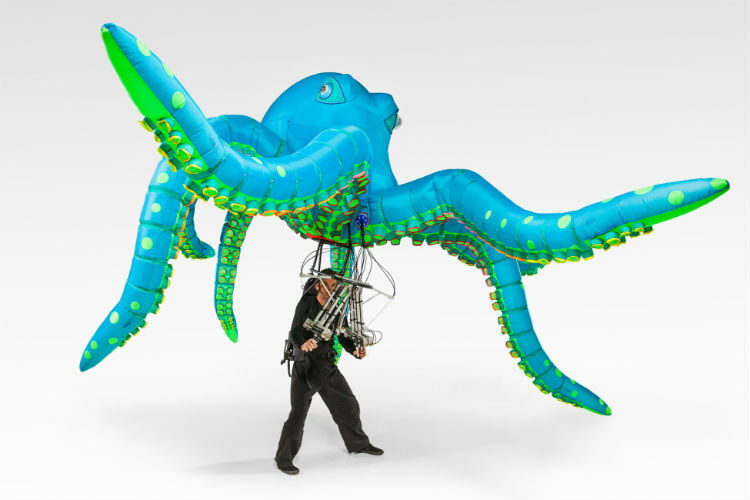 Ocho the Octopus is a ground breaking, inflatable octopus, with 8 independently articulated legs able to curl and sway in a lifelike fashion for walkabout performances. Ocho is huge – 4m high and 7m wide – maximising the immediate wow-impact on spectators. 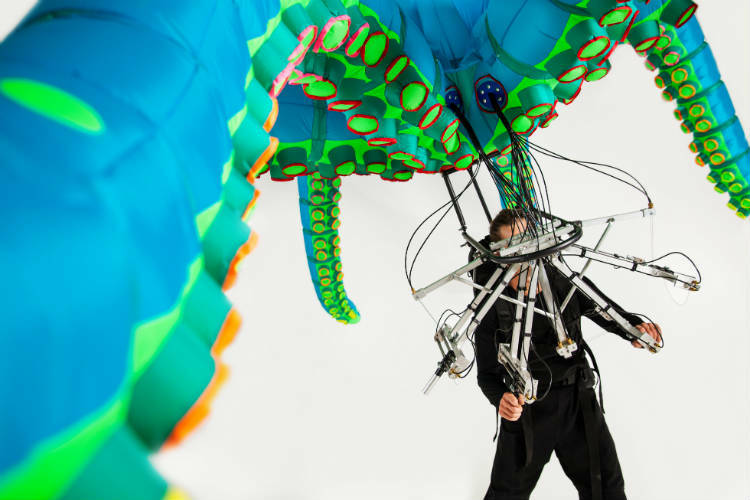 At the same time, its delicate control mechanism enables the puppet to build spontaneous rapport with its audience. 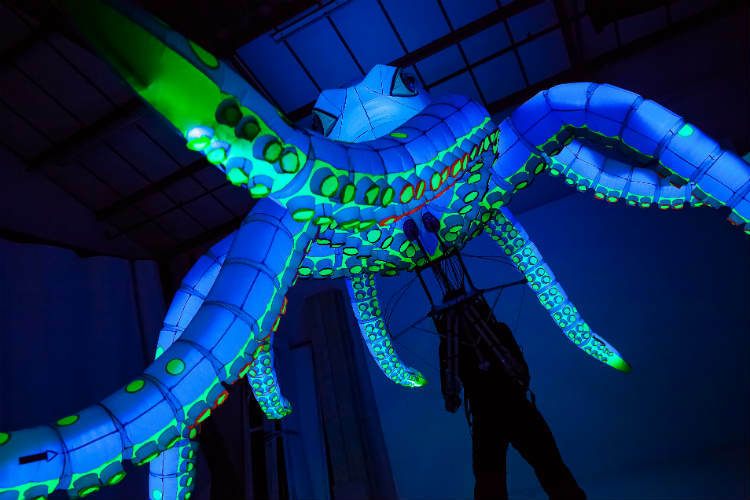 Lightweight and easy to manoeuvre by a single puppeteer, it is nimble and responsive to those it meets. With soft skin it is tactile and safe for close contact with adults and children. 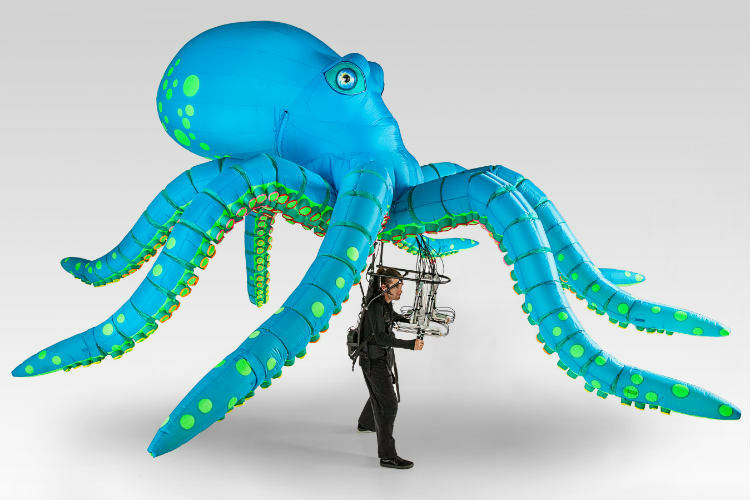 Ocho is unique in that most existing inflatable creations, whilst impressive, are lifeless and lack that quality which deeply engages the audience. Ocho is fitted with LED lights for stunning illuminated performances at night and in the winter. 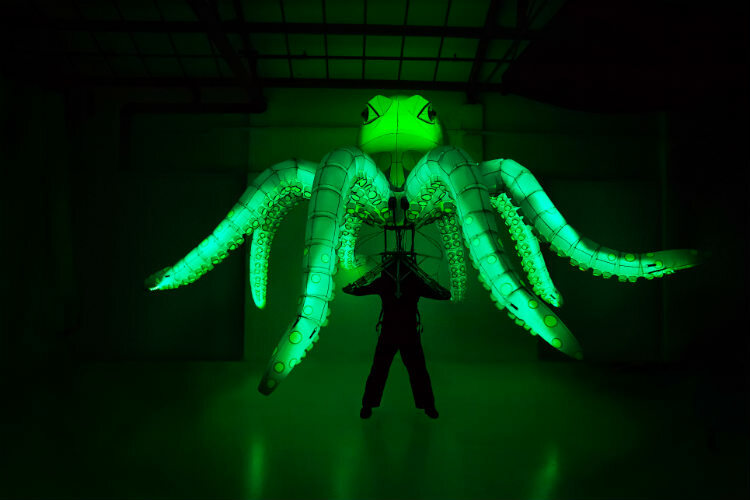 The lighting can change Ocho’s colour, making it versatile for different themed events such as underwater, Halloween, Christmas, Disco and Out of Space. Ocho can be packed down easily, making it perfect for international shows. New to 2018, it has already travelled the UK and Europe. Your piece embodies the perfect representation of both the antagonist of our show, and a marvellous piece of art! The Octopus was brilliantly well received. Thank you for your support in making it such a wonderful event. 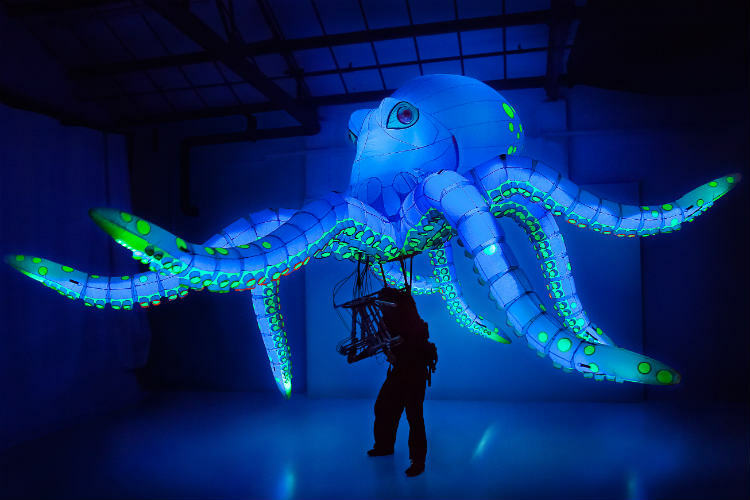 I love stories involving the intersection of art and technology. Your creations fit the bill!